The Chief MSBV is a universal interface bracket compatible with all M-Series Q-Latch/ClickConnect wall and ceiling mounts (MCS, MCD, MSR, MSS, MRT, MWC, MWH, MWR), and the JWD210, JWS210, JWP210 wall mounts. Although a universal interface bracket compatible with hundreds of flat panel displays from 30-50", you can confirm the compatibility of this bracket with your flat panel TV or monitor by visiting Chief's MountFinder Pro. 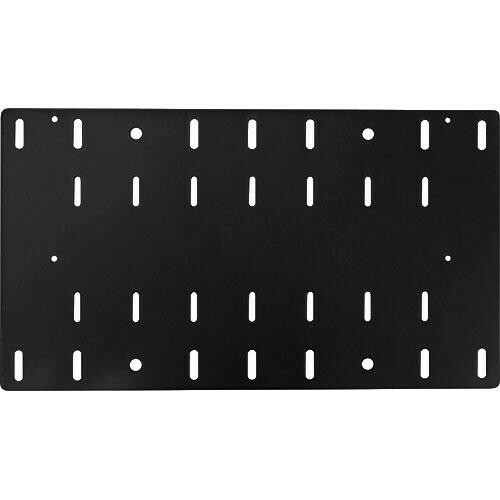 VESA 100 x 100mm, 200 x 100mm, 200 x 200mm, 300 x 100mm, 300 x 200mm and 400 x 200mm compatible. Box Dimensions (LxWxH) 17.2 x 10.0 x 1.8"